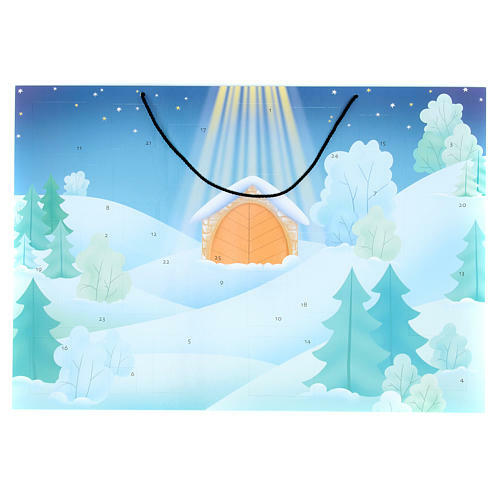 Advent calendar with landscape covered with snow. 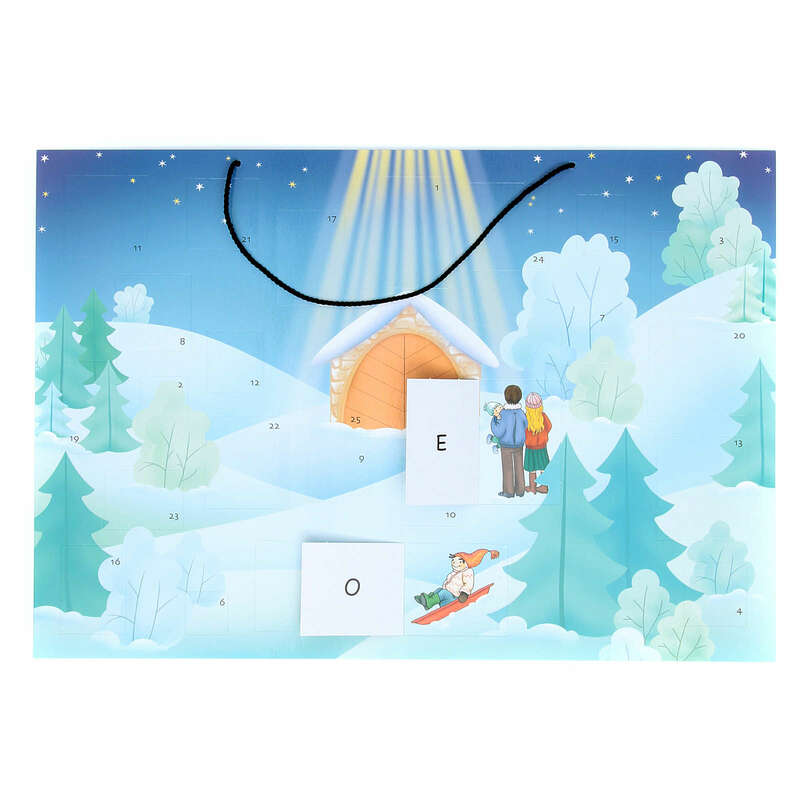 The calendar accompanies you towards Christmas: if you detach the corresponding window every day, you will find a letter that makes up a sentence. 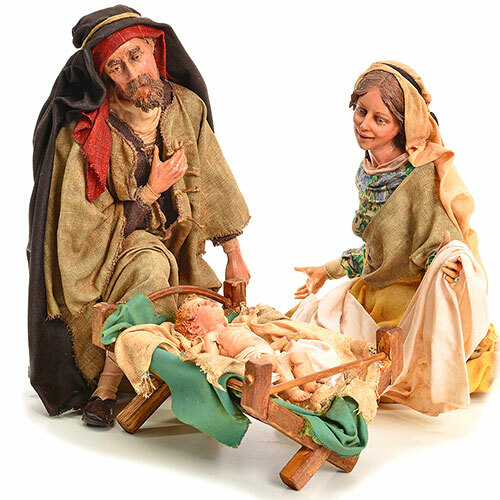 Only at Christmas will you discover the whole sentence to be dedicated to Baby Jesus.